EN : And here's my new choker, do you remember those ? I'm sure you were wearing one in the 90's everyone had at least one of those. I'm nostalgic of the 90's, I miss listening to the old Britney Spears songs, playing Crash Bandicoot (the best game EVER) on the playstation, watching Pokémon and so on. 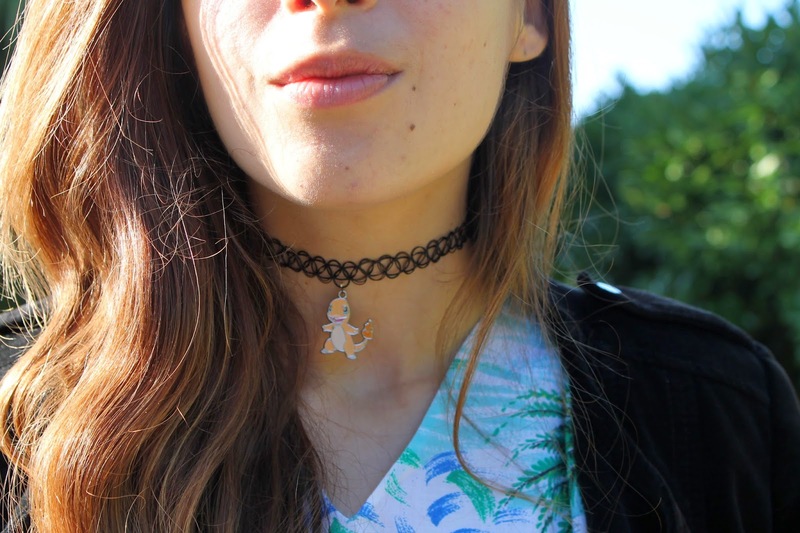 So this is why I bought this choker on Etsy, this choker is a résumé of my 90's kid life ! Tes nouveaux bébés sont magnifiques !! thank you for your lovely comment!! you look amazing with this outfit!! the shoes are adorable! it would be really wonderful to follow each other so if you want just let me know about it!kisses! Les chaussures sont topissime !!! !